While UNESCO promoted the culture of peace as its highest priorities during the Decade of the 90’s when Federico Mayor was its Director-General and when UNESCO co-ordinated the United Nations International Year for the Culture of Peace, since that time it has been less active in this regard than the United Nations in New York which has held annual high-level meetings on the culture of peace. 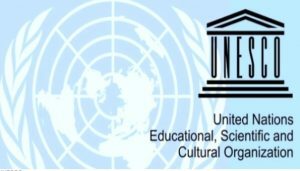 However, as one sees from the articles below, there is one region where UNESCO has continued to actively promote the culture of peace, and that is Africa. Its field office in Gabon has been especially active where the director, Enzo Fazzino, was part of the team at the end of the 90’s that coordinated the International Year for the Culture of Peace. Also in recent years, UNESCO has worked with Angola and Côte d’Ivoire to host several international conferences on the culture of peace.